Rita J. Lewis, 72, died Saturday February 21, 2015 at her beloved residence of Wall Lake, South Dakota. She was born to in Montrose, South Dakota on November 7, 1942 to Marion and Isabel (Fleming) Wheeler. She grew up in Montrose and graduated from Montrose High School in 1961. She married Elery "Skip" Lewis on February 27, 1965 at St. Joseph Cathedral in Sioux Falls. 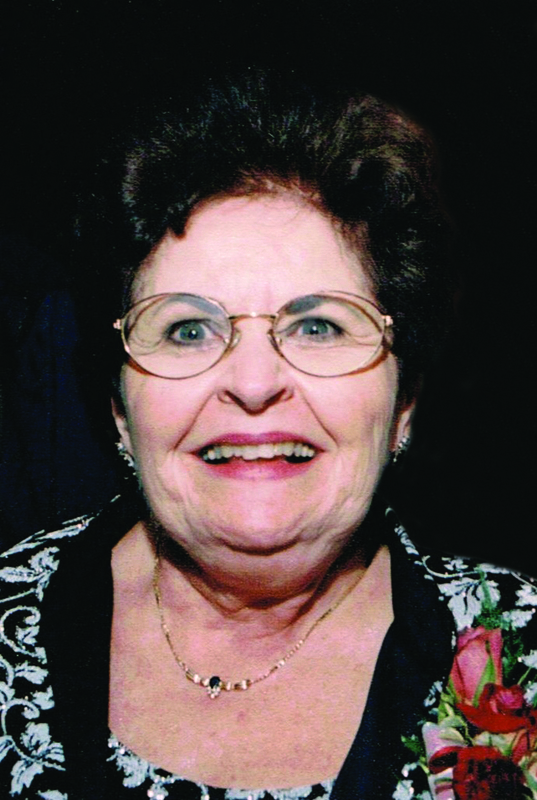 Rita held various bookkeeping positions for local businesses until 1977. Thereafter, she worked along side her husband at Barnett-Lewis Funeral Home. She spent her life serving others; lifelong member of the Catholic Daughters of the Americas, Board Member of the Dakota Catholic Credit Union, Board Member of the Crippled Children Hospital and School, and Girl Scout Leader. Grateful for having shared her life are her husband: Elery "Skip" Lewis; children: Lisa (Kent) Huemoeller, Kathy (Rob) Junker and David (Erin) Lewis; eight granddaughters: Kelli, Terra and Jenna Huemoeller, Taylor, Allison and Lindsey Junker, and Paige and Paiten Lewis; brother-in-law: Rodney Bindert of Brookings, SD; and numerous relatives and friends. She was preceded in death by her parents, sister, Nancy (Wheeler) Bindert, several infant brothers and sisters, and a granddaughter, Lauren Lewis. Memorials may be directed to the Sioux Falls Catholic Schools. Visitation will be Thursday, 5 PM at Barnett-Lewis Funeral Home with a Scripture Vigil at 7 PM followed by a Catholic Daughters of the Americas Rosary. Mass of Christian Burial will be Friday, 11 AM at St. Michael Parish with burial at St. Patrick Cemetery in Montrose.